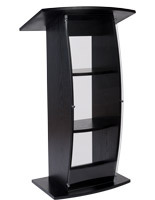 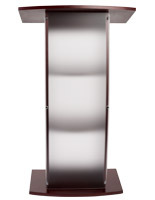 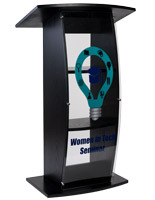 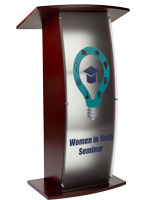 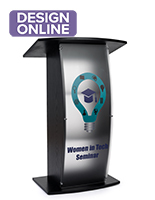 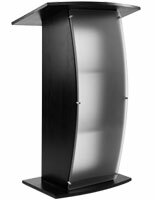 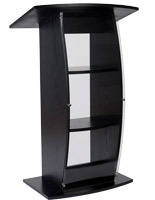 This custom printed acrylic panel for the FLCT podium is great for featuring new graphics on the front of your lectern. 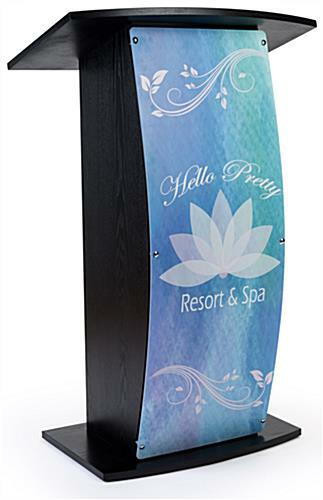 Each replacement unit is imprinted with a vivid full color image of your choice. 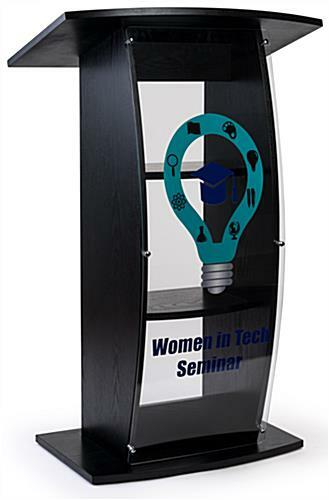 The custom printed acrylic panel is clear and made for durability. 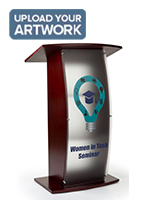 Order multiple replacement graphic displays to rotate though different artwork options at presentations.